Page & Turnbull is a full-service architecture, design, planning, and preservation firm that transforms the built environment. Founded in 1973, our firm has offices in San Francisco, Los Angeles, and Sacramento, bringing together architects, planners, architectural historians, and conservators to build new structures or imbue new life into existing structures by adapting them to meet contemporary needs. 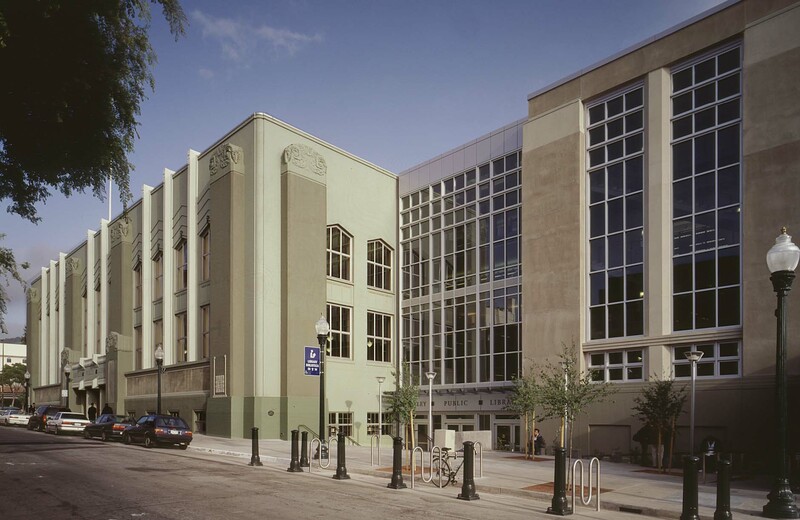 When Charles Page opened an office as Charles Hall Page & Associates in the early 1970s, he was building upon a new awareness of the importance of historic preservation. The National Historic Preservation Act had been passed in 1966. San Francisco’s own Landmarks Preservation Advisory Board began in 1967. Page believed that a business could be built around a group of professionals providing design and research to the preservation community. One of the new firm’s earliest successes came in the form of a survey of historic buildings in downtown San Francisco. Published as the book “Splendid Survivors,” this historic resource survey provided the history, significance, and relative value of several hundred of the city’s best buildings. “Splendid Survivors” was a crucial influence in developing San Francisco’s New Downtown Plan in 1985, and it is a reference that continues to shape development today. Jay Turnbull joined the firm in 1981 as Director of Architecture, and since this time Page & Turnbull has become known as a design and planning group that is sensitive to its clients and the buildings they steward; effective at navigating the challenging entitlement process that may influence permit approvals; and creative in making inventive plans for preserving historic cities, neighborhoods, and structures. We opened branch offices in Sacramento and Los Angeles in 2006. Today, we serve building owners, developers, communities, institutions, and cities across the United States. Three studios comprise Page & Turnbull today: Architecture, Cultural Resources Planning & Research, and Preservation Technology. Collectively, we balance historic character with adaptive reuse, objective historic evaluation with community involvement, and complex design solutions with technical understanding of historic materials and their conservation. We see each other as resources, much as we see our consultants and clients as collaborators. Our offices in Los Angeles, Sacramento, and San Francisco serve building owners, developers, communities, institutions, and cities across the United States. Our work can diverge from the historic and embrace the bold and modern, integrating new technologies and materials. We invest in new software solutions and tools to visualize and support our designs and surveys. Through it all we are committed to sustainability: reuse of buildings is one of the greenest forms of design, and we emphasize this sensibility in our office practice beyond construction projects. We are passionate about making a difference to ensure a future for our built surroundings and its evolution. Jay Turnbull joined the firm in 1981 as Director of Architecture, and since this time Page & Turnbull has become known as a design and planning group that is sensitive to its clients and the buildings they steward; effective at navigating the challenging entitlement process that may influence permit approvals; and creative in making inventive plans for preserving historic cities, neighborhoods, and structures. Our offices in Los Angeles, Sacramento, and San Francisco serve homeowners, developers, communities, institutions, and cities across the United States. We see each other as resources, much as we see our consultants and clients as collaborators. Our offices in Los Angeles, Sacramento, and San Francisco serve homeowners, developers, communities, institutions, and cities across the United States. Our work can diverge from the historic and embrace the bold and modern, integrating new technologies and materials. We invest in new software solutions and tools to visualize and support our designs and surveys. Through it all we are committed to sustainability: reuse of buildings is one of the greenest forms of design, and we emphasize this sensibility in our office practice beyond construction projects. 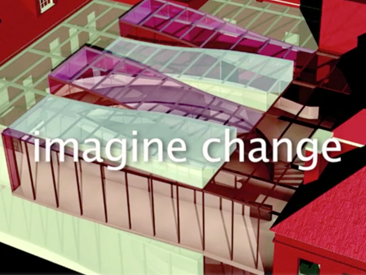 We are passionate about making a difference in ensuring a future for our built surroundings and its evolution. 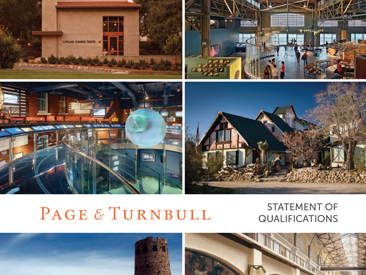 Page & Turnbull celebrated its 40th anniversary in 2013. Watch staff and friends share stories of Page & Turnbull then and now. Download Page & Turnbull’s Statement of Qualifications.